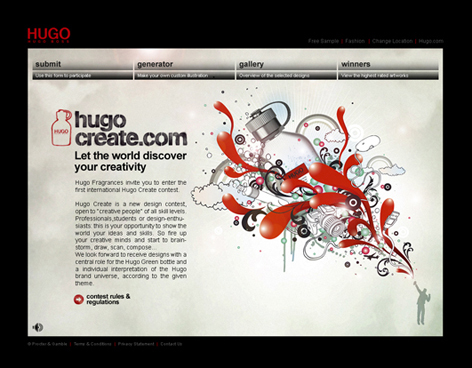 Hugo Fragrances just announced the launch of it’s first international creative challenge, HUGO Create. 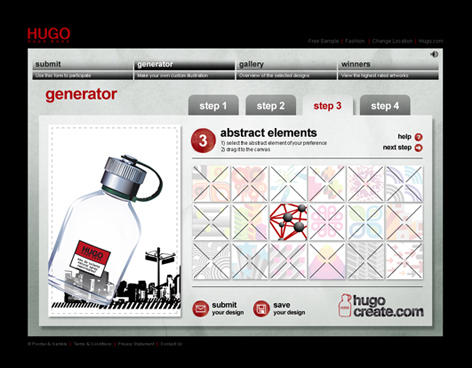 In four rounds, participants are challenged to turn the iconic Hugo Man bottle into something creative and innovative. Even if you are not a professional designer, you can still enter the contest by using the design generator on the website, which is a great tool with hundreds of different design elements. Basically, everyone has a change to win one of the prices and if you don’t, you still had a lot fun discovering the designer in you!